Monday dawned with a light easterly wind forecast. Which is usually a very challenging direction on Pittwater especially when the windward mark is under the eastern shore. And so it proved with inconsistent major shifts of up to 90 degrees and the fickle breeze liable to die out at anytime. It was critical to have eyes out of the boat and a bit of luck as there was no pattern. It was Antares that was the boat of the day in the challenging conditions with a first, second and forth. Another new class member Scotty O'Conner, with his Classic 1968 Kings Cross, which was designed for the light airs in Acapulco, really did shine in the difficult conditions and would have been boat of the day with a win, a second and a fifth if they had not had to retire from a potential first and actual second place for going past the wrong side of a repositioned windward mark by 50m. The consistent Rhapsody also had a good day with two thirds and a second. Ku-Ring-Gai was unfortunately a victim of the fickle wind, becoming becalmed in race 5 scoring an 8th. However, with the one discard kicking in after 5 races they took a comfortable lead of 5 points over Antares into the final day with Rhapsody one point behind. Tuesday was a classic sunny Pittwater day with a light 6kt North Easterly sea-breeze that gradually built in the afternoon to 14kts. Race 7 was a chance for Damian Macey's and Jason Antill's 1968 radical, Classic Baragoola to shine taking out the first race over Ka-Ring-Gai, Rhapsody and then Antares. Rhapsody and Antares were now on equal points with all to play for the final races. 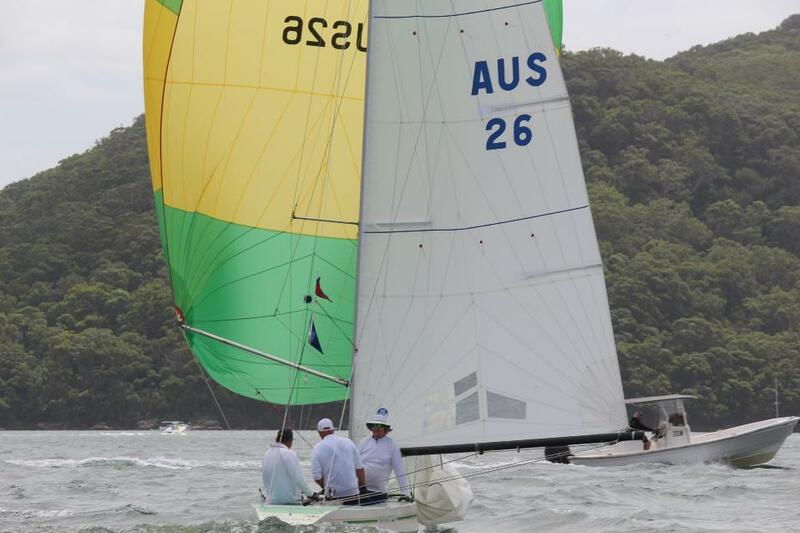 It was again Ku-Ring-Gai that showed her superior speed taking out the last two races to comfortably take the overall win to become the 2019 International 5.5m Australian Champion. Antares was fast down the runs in both races, consistently gybing early to the left hand side of the run which paid off and this gave them two comfortable seconds to become the 2019 Evolution Champion over Rhapsody. Baragoola again became the 2019 Classic Champion. 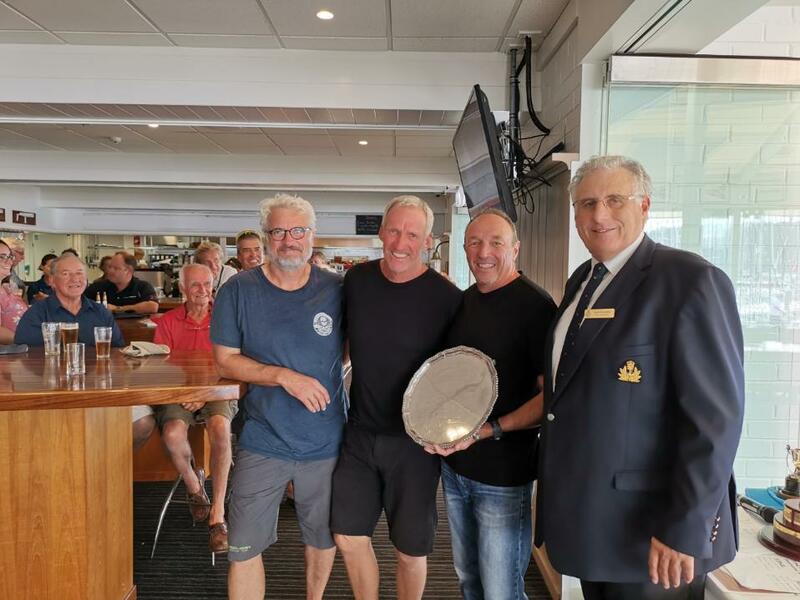 The changing of the guard was now complete with Bob Stoddard's stunning 1973 Evolution Skagerak, which has been at the top the Australian Championships for the last 10 years, uncharacteristically 6th overall. Photographs from the Australian Championships by the RPAYC and Drone Images (thanks Craig Douglas) run below.